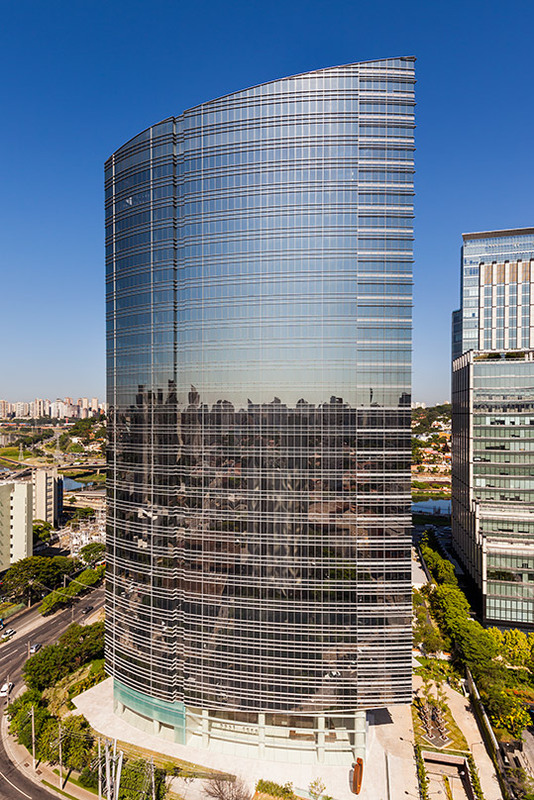 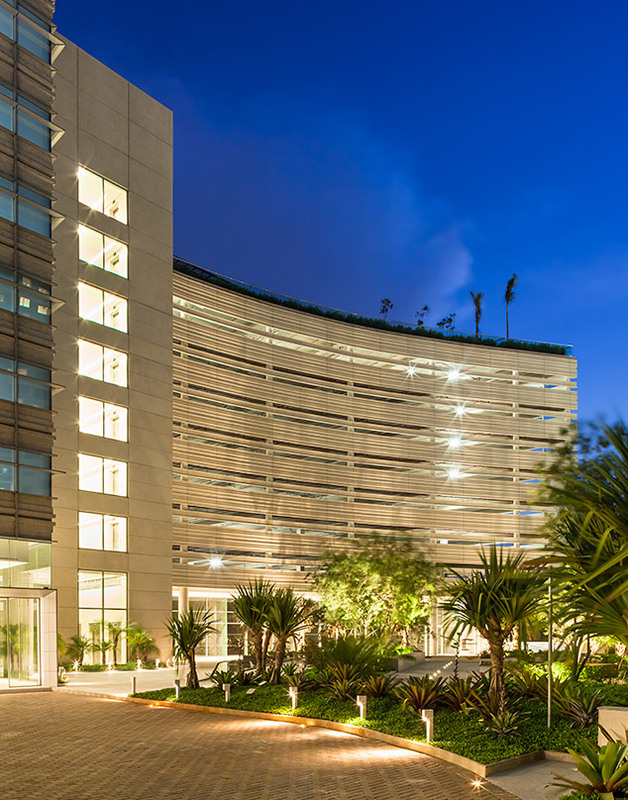 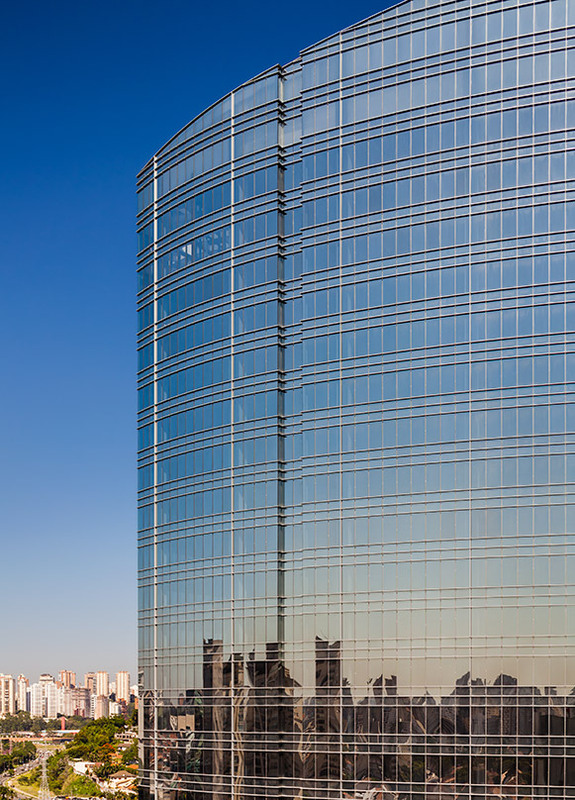 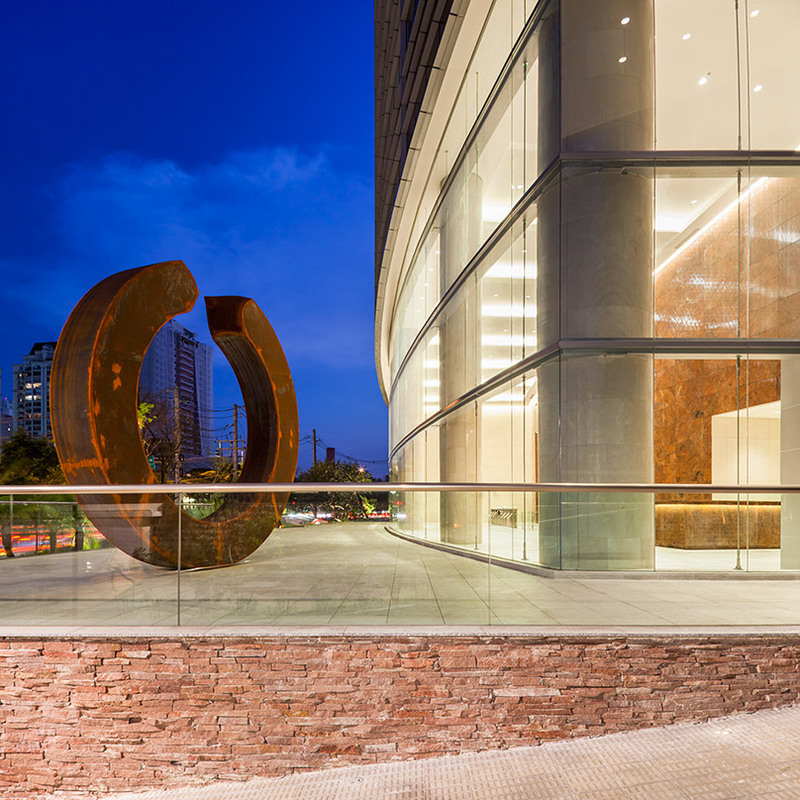 Located in Brazil’s economic and urban heart--the Morumbi district of São Paulo--this LEED-certified mixed-use development brings much needed, Class-A office space to South America’s largest city. 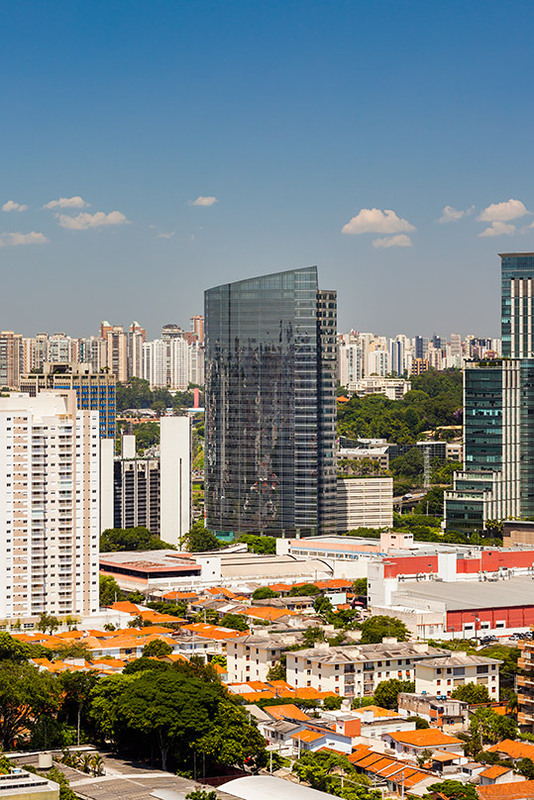 The development also offers luxury shops, restaurants, a food court, capacious below-grade parking, and immediate access to the Morumbi metro stop. 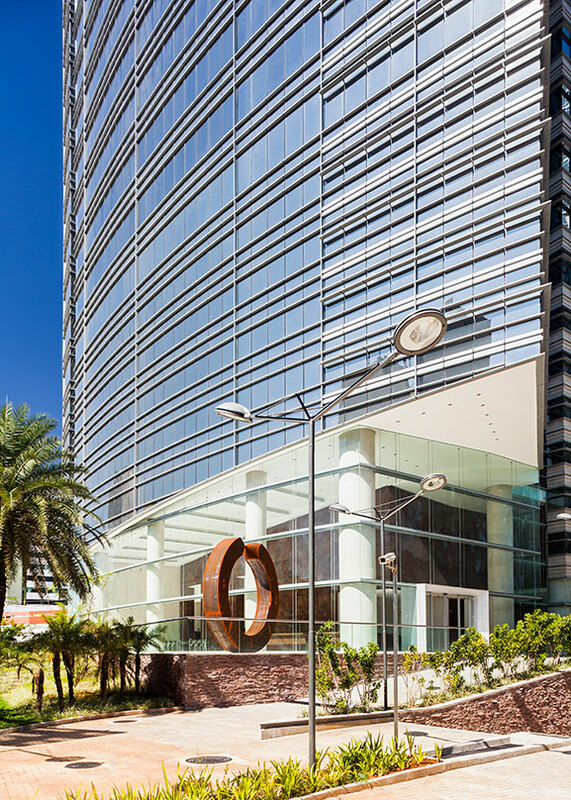 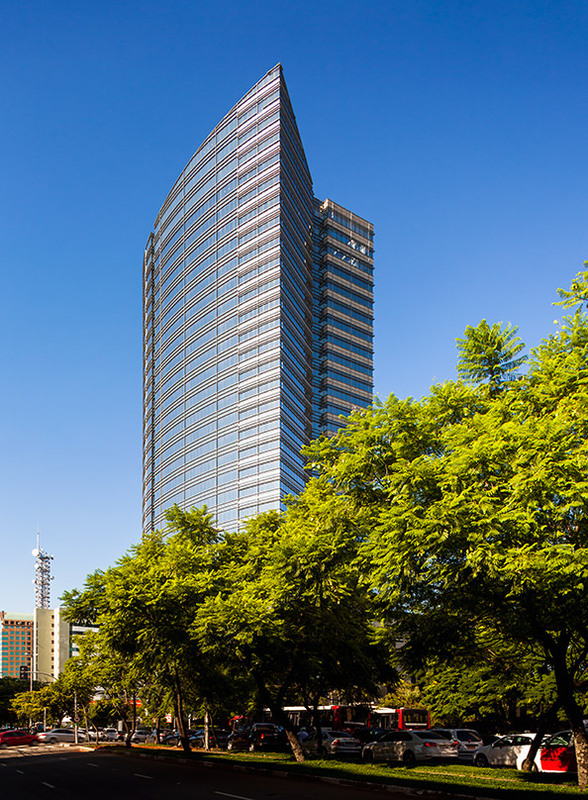 Torre Z comprises a 28-story tower atop a ten-level podium. 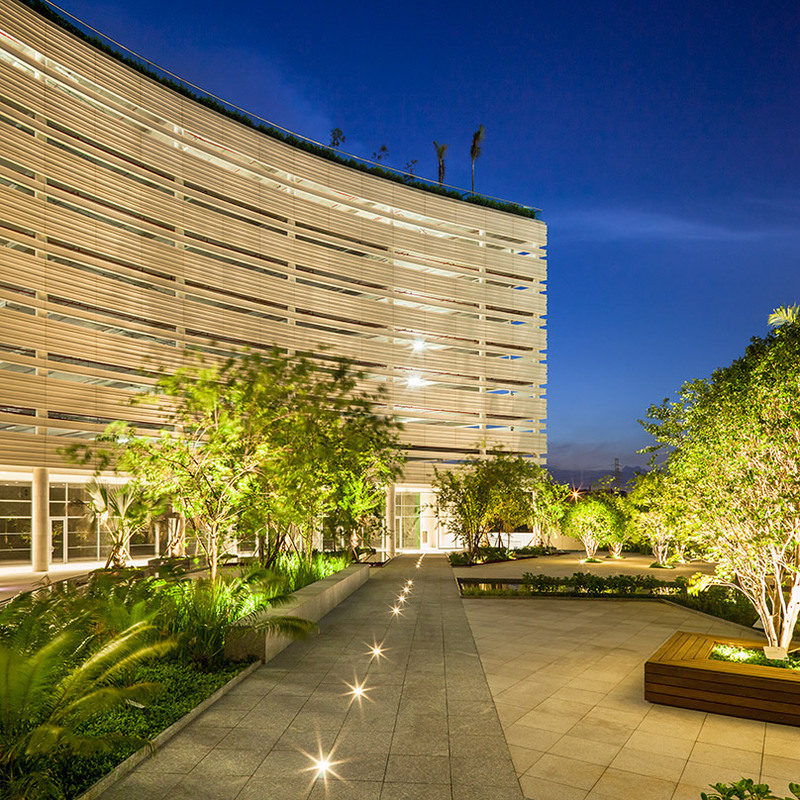 The podium’s roof garden provides private recreational space for building occupants. 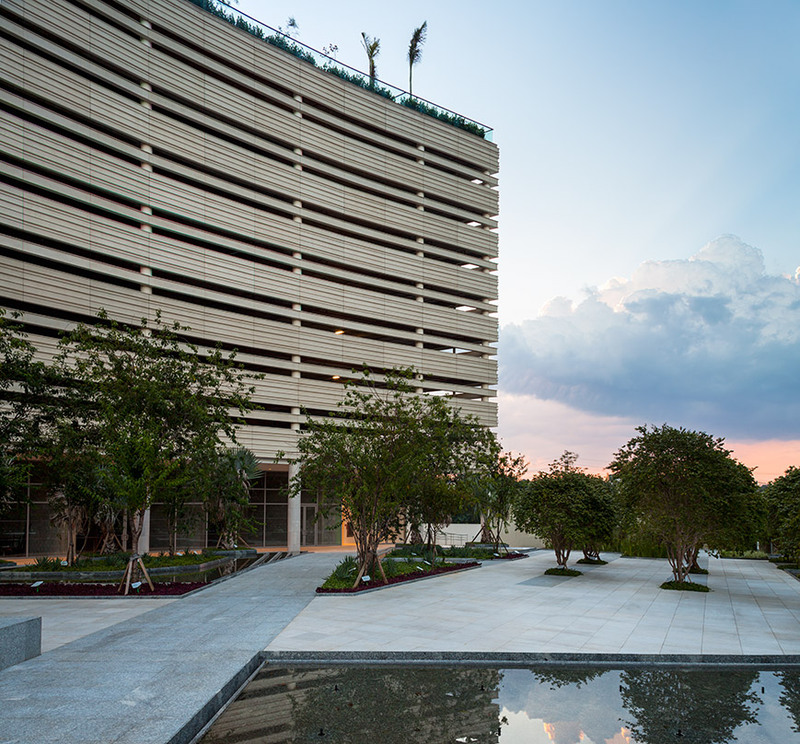 Below, at street level, the development centers on a garden with outdoor dining and water features. 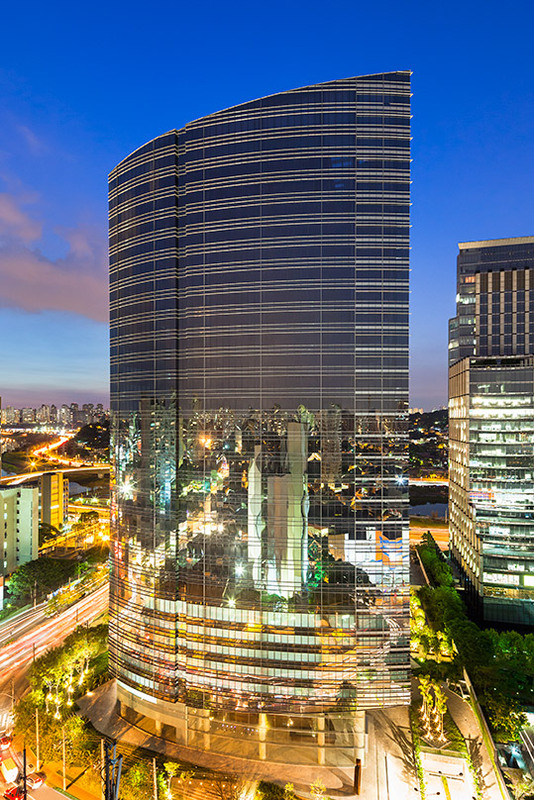 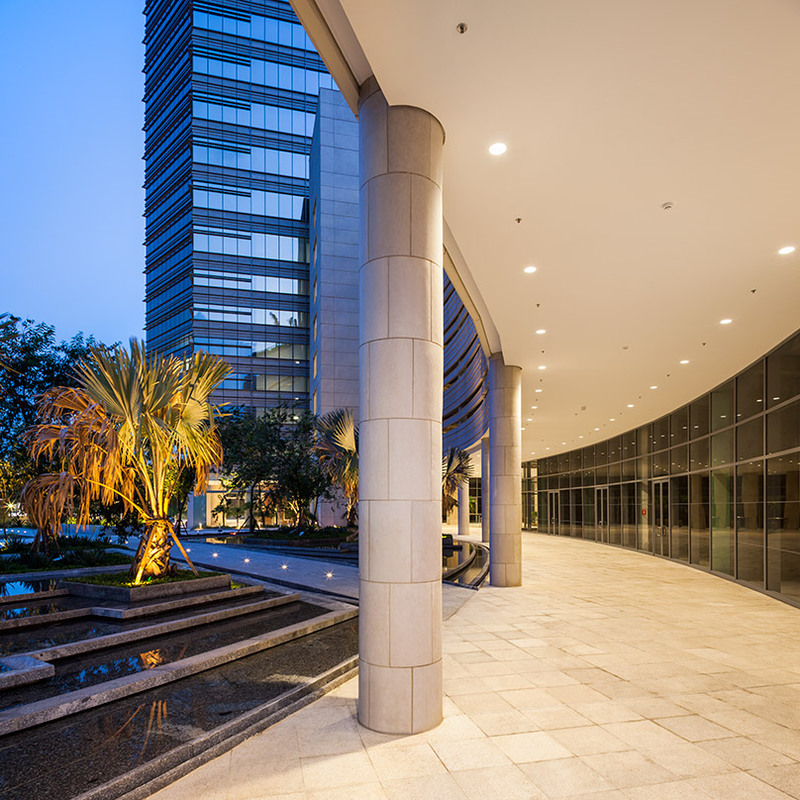 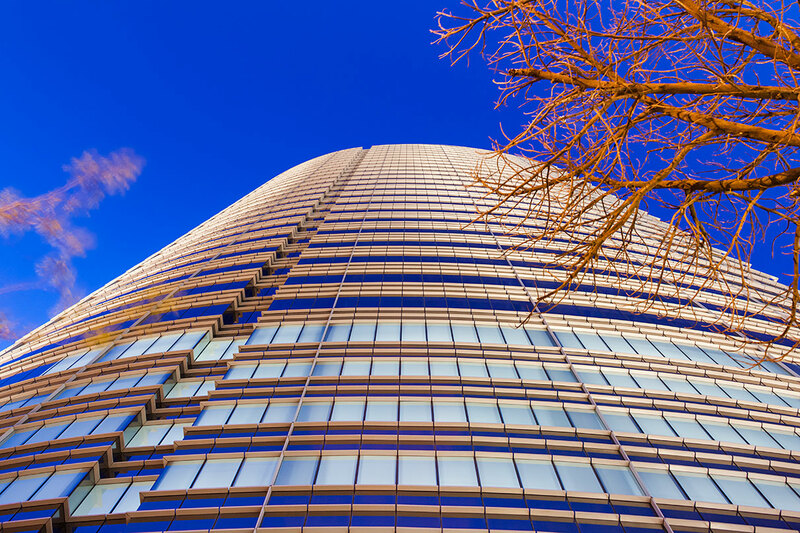 The tower’s design features graceful curving facades of lightly reflective glass that contrast with golden Brazilian granite. 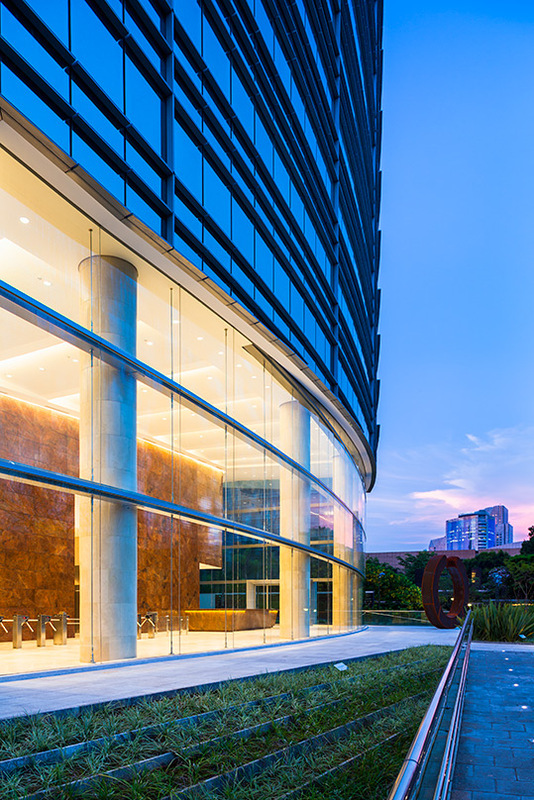 The lobby and retail atrium feature brilliant red Brazilian marble. 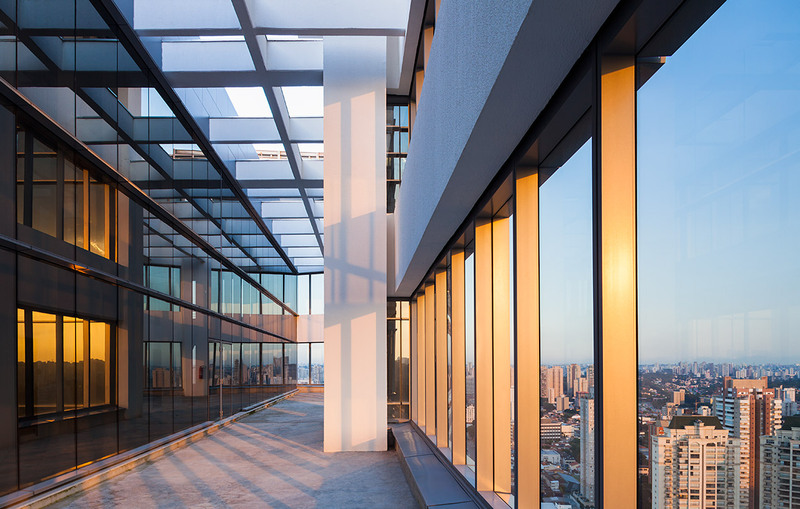 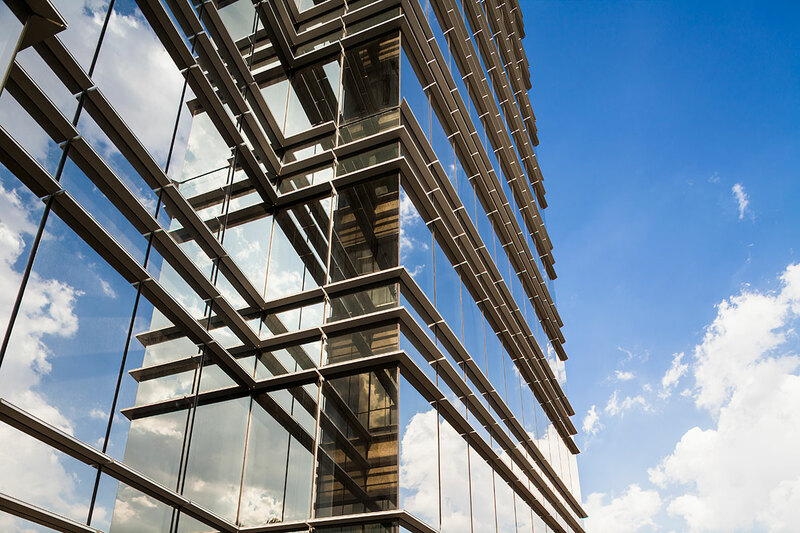 The generous office spaces feature floor-to-ceiling glass.